One of the gaming world’s most definitive tennis game returns to gamers across the world in Top Spin 3 that once again raises the bar of this genre. Featuring a plethora of new players, graphics and gameplay, Top Spin 3 is the ultimate tennis game and for this review, we are investigating the PlayStation 3 version. 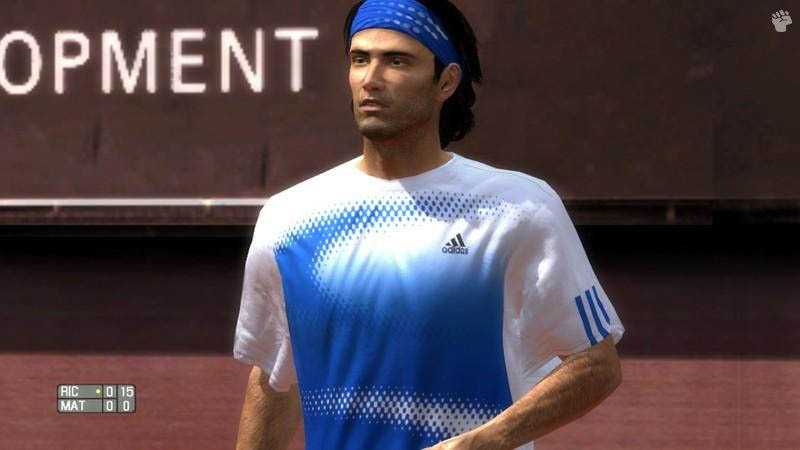 The title contains a variety of tennis greats from Roger Federer to Maria Sharapova and it offers the player a variety of different gameplay modes from instant matches to an in-depth career mode where you start from amateur and hopefully make your way to the professional tour. There are even some unlockable options available, depending on how well you play the game which increases the longevity of the title. In its essence, the game is your traditional tennis title where it reflects the real world of tennis, however for gamers a little unsure of the playability; there is an in-depth training mode that will teach you the basics and more to get you started. The control system on the PS3 is well mapped on the controller with the interface slightly changed from previous incarnations to give more realism and options to the player. Gameplay options such as serving and hitting has been changed that although gives the player more work, allows for a variety of more control over the ball and where you hit the ball on the court. Timing also plays an important role in Top Spin 3 that will make or break a shot and will take novice gamers a little while to master, however more experienced gamers should have no problem after a few hours and in hindsight, the learning curve is rather steep yet definitely rewarding. The title also contains a variety of shots from slices to lobs and even power shots for those risking those aces. Brilliant! 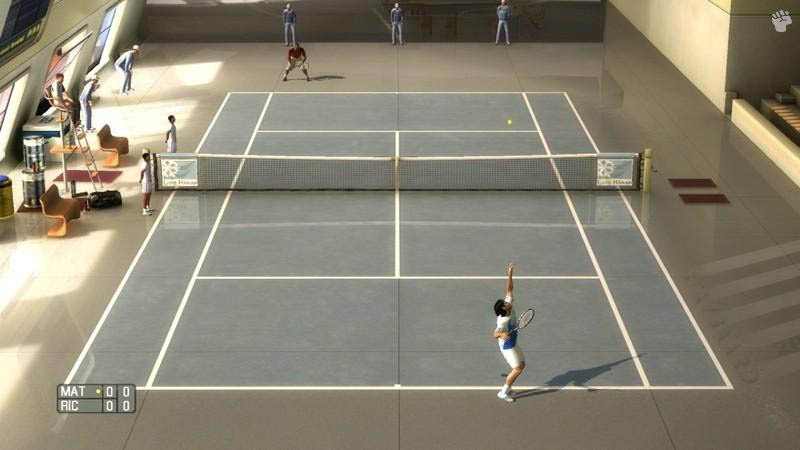 Although the game has arcade moments, it could almost be considered a simulation with the realism of play and control over your character and the ball, making this one of the most realistic tennis games available. The online play is outstanding for Top Spin 3 which gives you access to one-off matches and an online world tour which is quite fun as you are playing against real players from around the world. 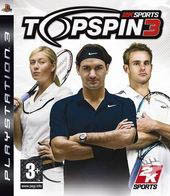 Graphically, Top Spin 3 is a visually impressive game on the PlayStation 3 that is probably the most impressive of all the versions thanks to its high definition graphics. 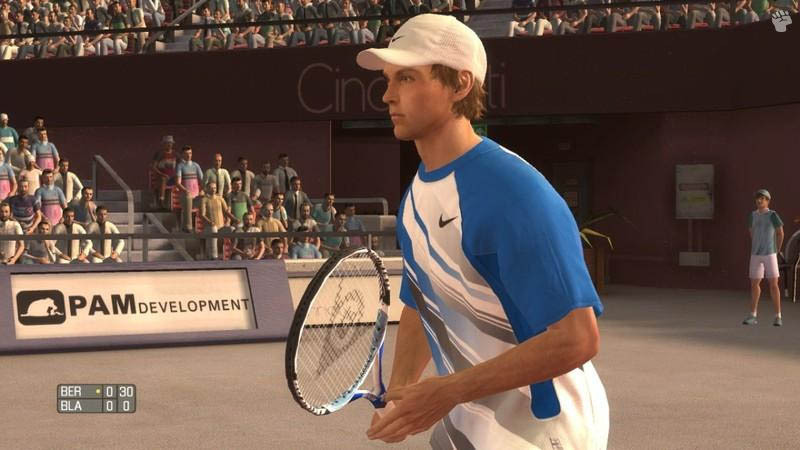 The characters in the game are extremely reminiscent of their real-world counterparts and the animation of the characters is first class and one could almost be mistaken that they are watching a real tennis match. The only downside to the graphics is the lacklustre crowds which seem a little surreal when compared to the gaming environment. Musically, the title contains a great soundtrack with bands such as Franz Ferdinand and The Stone Roses and all the sounds from a real tennis match from the screams of the crowd to the grunts of the players which is perfect. In conclusion, Top Spin 3 is probably the best tennis game available at the moment and if you are a tennis fan, than this game is definitely for you. Even if you’re not a fan, this is one engaging sports game from start to finish that will have you playing long after you have completed the career mode. The only concern that I have for the game is the new gameplay that may be difficult for some players to master, however persistence will prove quite beneficial.